Everyday, an adventure awaits! Search for exciting events and useful resources for kids in Naples. Naples Kidz is your one-stop-shop of amazing kid activities in beautiful Naples, Florida! We are here for both Naples residents and visitors. Bookmark our site to use on the go or at home looking for things to do with your kids! Follow us on Instagram to read about featured events and Giveaways. Our Calendar and A-Z index are comprehensive lists with “clickable” information – no more typing. Check our site daily for what’s new! Naples Kidz is here for you! New on A-Z index – Easter Events 2019, Vacation Bible Schools 2019, Summer Camps 2019, Volunteering, Annual Events, Parents’/Kids’ Night Out , SWFL Attractions. On Friday, April 19 from 9 to 11 a.m. join us for Toddler Time and let the LITTLE ONES partake in an indoor Easter Egg Hunt! Colorful eggs will be hidden throughout our facility that contain toddler friendly surprises! We know you can hardly contain your excitement over this event but we ask that you please leave the fun egg hunting to the little ones in your group. Toddler Time is for ages 6 and under. $6 for any additional children or adults. Toddler Time is a special designated time for children ages 6 and under to jump, laugh and play throughout our entire facility with other children their age. One parent or caregiver per child is welcome to join in on the fun, free of charge! $12 for the first toddler bouncer and one adult. $6 for each additional toddler bouncer. Join us for a new storytime focusing on process art. We’ll read a story and sing some songs. Wear some old clothes because we’ll have some creative fun through developmentally appropriate art experiences. Registration required. Spring Fest is back! From Friday, April 19 through Sunday, April 21, guests can meet the Easter bunny, participate in an “Eggcycle Hunt”, and watch animals get Easter egg themed enrichment! 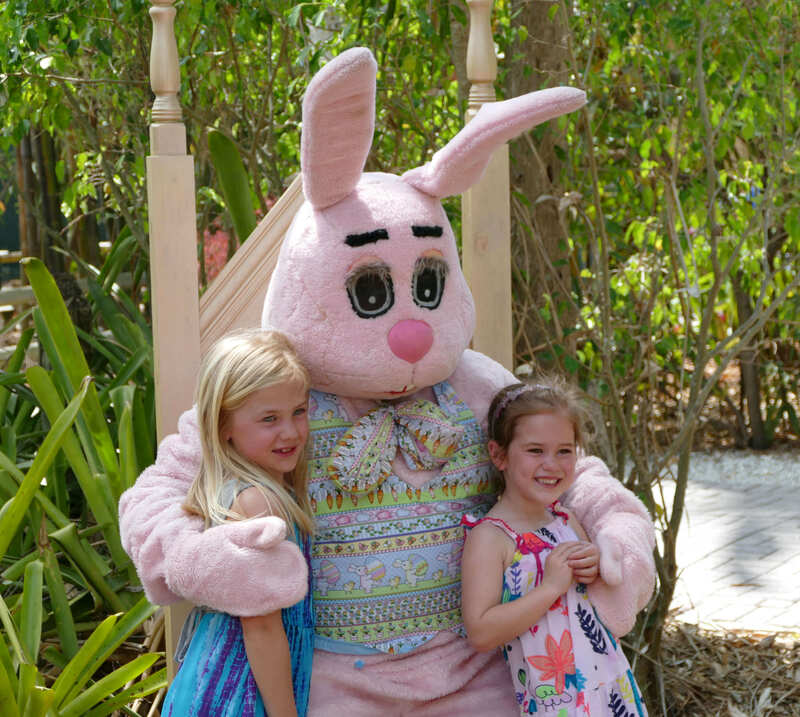 Easter bunny meet and greet times are from 10 am to 3 pm each day at Canyon’s Edge. There will be two “Eggcycle Hunts” each day of the event. At 10 am, guests ages 3 and under can hunt for Easter eggs at the playground by the Pavilion. At 11 am, guests 4 and older can hunt for Easter eggs in our Historic Garden area. We are calling them “Eggcycle Hunts” this year to promote recycling! At the end of the hunt, children can ‘recycle’ the eggs they’ve collected by turning them in to a staff member to receive a bag of candy. Guests must register ahead of time by emailing Katherine@napleszoo.org or calling 239-262-5409 ext. 152. Spring Fest is included as part of regular Zoo admission. Purchase tickets online ahead of time and save money! Naples Kidz. © 2018. All rights reserved.